Awarded to a select group of agents for exceptional property sales whilst exhibiting the highest level of professionalism and service excellence. I am the hum of Friday Night at the Village. I am nature’s delight at The Bird Hive. I am the revered gallery of Pharaoh Art. I am evening spent strolling beautiful Milkwoods. I am the sea of green on the ocean’s edge. I am Wilderness Agent, Lorraine Campbell. Hi, I am Lorraine Campbell and I have been working with Pam Golding Properties since 2001. I specialise in residential property sales and rentals in the Wilderness areas. Over the years I have sold a large number of properties in the Wilderness area. Through many successful sales I have had the honour of meeting wonderful people. Living and working in the area is a true privilege. I have gained a vast amount of knowledge around the property market, and gained personal insight into the local community. I share my experience and love for the area with new and potential clients. I take great pride in showing new residents our area and sharing my local knowledge with them. My passion and commitment to the industry, and Pam Golding Properties, over the past 15 years has rewarded me with Gold Club status throughout my career. I remain driven to consistently work hard and maintain my success. The highlights in my career have been in receiving several National Awards from Pam Golding Properties, making me an Elite Gold Club Agent. Selling property has become my way of life and I believe my true vocation. Throughout my career at Pam Golding Properties, I have been fortunate to have the support of my husband, Stuart. During our time in Wilderness many of my clients have become our friends which have enriched our lives. We have lived in Wilderness for fifteen years and enjoy the natural beauty of the area. 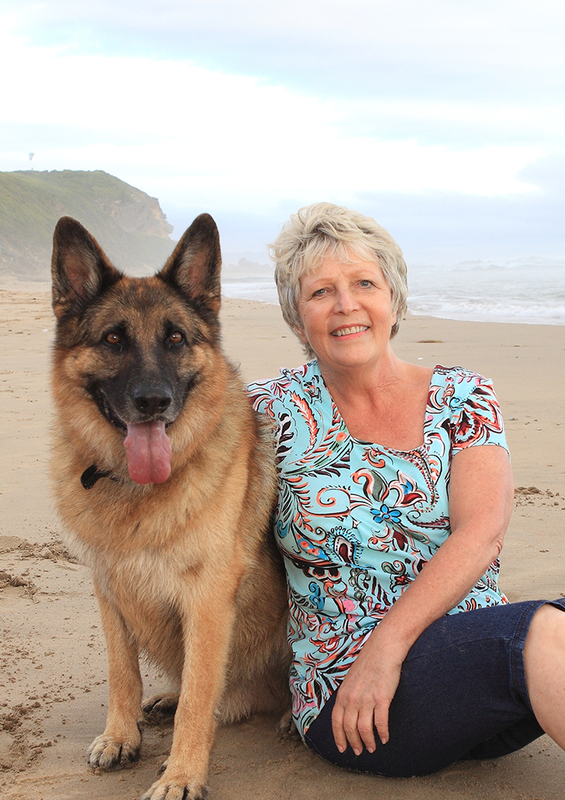 One of our favourite pastimes is having long walks on the beach with our German Shepherd, Reggie. I love living in Wilderness and would be delighted to assist you in finding your ideal home and sharing in the quality lifestyle we enjoy in Wilderness. Please get in touch so we can discuss your property requirements. Through many successful sales I have had the honour of meeting wonderful people. I honestly love selling property.